Transport for the North, the organisation soon to become England’s first sub-national transport authority, has today welcomed a decision by the Secretary of State for Transport to allow Network Rail to help improve capacity and services on the Manchester to Sheffield Hope Valley railway line by building new passing loops. Sheffield and Manchester are two of the six cities targeted for better connectivity as part of Northern Powerhouse Rail and current connections between them are strained by poor capacity and slow line speeds. 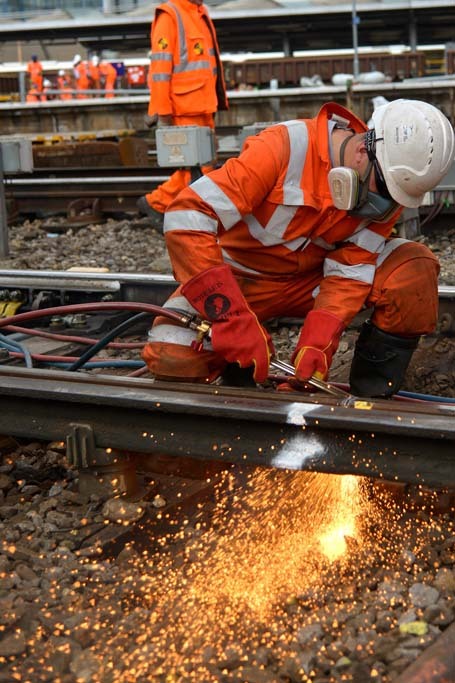 The new works order granted by the Transport Secretary will allow passing lines to be built around the Bamford and Dore sections of the line enabling more trains to run per hour and increasing passenger and freight capacity. Barry White, Chief Executive of Transport for the North, said: “This is really positive news for the North. This work paves the way for a more frequent and reliable service. The increase in capacity will be welcomed by passengers who have been facing extremely busy services for some time. These improvements all form part of the first early building blocks of Northern Powerhouse Rail which aims to transform rail connectivity in the North of England through better connectivity between our major economic centres and the proposed Trans-Pennine Route Upgrade work, will all help pave the way for a comprehensive network of Northern Powerhouse Rail services which will eventually link in with national main line rail services and to HS2. Mr McKervey, a partner at international law firm CMS, added: “It’s good to see that the Secretary of State has been listening to us, and our collaborative efforts have paid off with this important decision. The current infrastructure between Manchester and Sheffield limits fast services to two trains per hour, one every 30 minutes. It also allows a stopping service and a freight service every hour for most of the day. The new passing loops will mean three fast trains can run per hour between Sheffield and Manchester, one every 20 minutes, freight and stopping trains every hour, and a fast Manchester-Nottingham and East of England service every hour. The scheme is necessary for any expansion of services on the route and a key enabler for the Northern Powerhouse Rail route upgrade which is now being developed. It is also part of Network Rail’s Northern Hub programme. Rail North will now be pressing for release of the funding required to undertake the detailed design work during 2018/9, with a view to enabling the physical works to start after April 2019.